A biofumigant cleans up the soil and minimizes fungal diseases that attack crops such as pumpkins, squash, potatoes, eggplant, and strawberries, all our favorites right here on Long Island, and in turn, reducing the use of fungicides on crops. Like all research-based projects, scientists want to have outcomes that improve the world we live in, whether it’s to increase yield for crops (more people to feed in today’s world) or to minimize damage from insects or disease. In this particular study, Scientists Sandy Menasha and Meg McGrath from the Long Island Horticultural Research & Extension Lab have shown significant reduction in the amount of fungal diseases associated with pumpkins, strawberries and potatoes just by simply planting the mustard cover crop prior to using the field for their crop. Once the cover crop reaches optimal growth, as recommended in the study, farmers can plow the crop under and plant their main crop 3-4 weeks later. There have been on-farm trials as well as replicated studies at the Long Island Horticultural Research & Extension Lab since 2008. Growers have really caught on to the practice with several farmers utilizing this system of spring-planted mustard followed by a crop of pumpkins or winter squash with great success. Some growers have even experimented with other crops like potatoes. 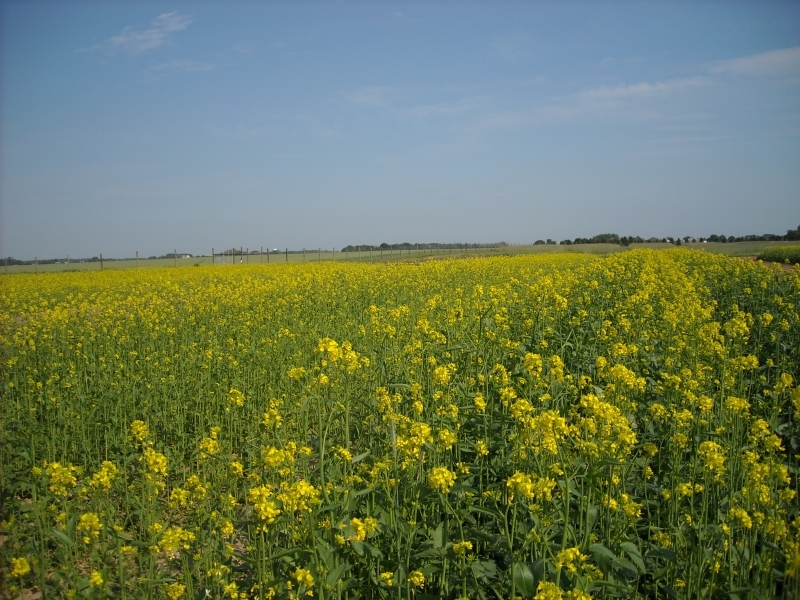 Reports have shown well over 400 acres of mustard cover crops are being used as a source of biofumigation on Long Island and that number is expected to grow. This is another great example of how farmers are using science to grow with more sensitivity to the land and water and one of the many reasons Farm Bureau continues to advocate for continued funding for Cornell Cooperative Extension of Suffolk County and support for research-based programs like this one. Their research has educated and assisted farmers in every aspect of growing in every commodity across Long Island.